Book now to secure your place on the start line at Austria’s most beautfiful running event. All you need to do is register online until 5th September 2019. In celebration of the 20th anniversary of the Achensee Run, the entry fee for every 20th registration of the main race of 23.2 km (sunday) will be refunded. 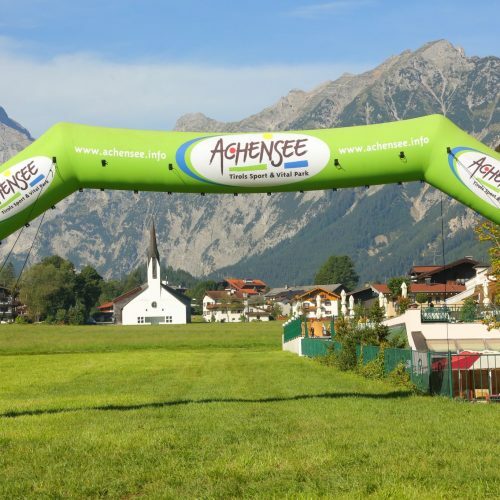 The first weekend in September will see runners of all ages and abilities descend on the region around Lake Achensee. On Saturday there will be the children’s runs and the 10km for adults, while on Sunday the main 23.2 kilometre Achenseelauf and the relay race take place. Runners under the age of 18 require written permission from a parent of guardian. All runners aged 18 years and over require no permission. If you are the parent/guardian of a person under 18 years who wishes to take part in the 10 km run, the Achenseelauf or the Achensee Relay Race, please print out the following form, fill it in and send it to the organising team. If you wish to register on the day, please bring this form with you to the registration desk. The organiser assumes no responsibility for the accuracy of the data provided!